A girl group - 2 girls from UK, 2 girls from USA. They were put together by Lou Pearlman who, as you know, put together Backstreet Boys and NSync. And their management was Johnny Wright. The girls have strong voices, their debut album is a great pop album with some outstanding pop tunes, but unfortunately Solid Harmonie were overshadowed by another girl group! 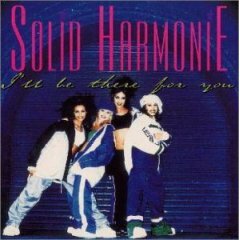 Solid Harmonie are no longer. 7 Amy Diamond This is a great pop album, the songs are Britney-style pop songs. The girls voices sound so beautiful, with their harmonies, it almost sounds like ABBA. 25 Cervello FYI: Veit Renn's website: http://www.rennmusic.com/. Veit Renn (no doubt you've seen his name before) has written and produced for Backstreet Boys and Nsync plus more. Track 1 & 2 remix and additional production by Rami for Cheiron Productions.